The difference between Babysitter, Mommy's Helper, & Professional Nanny. 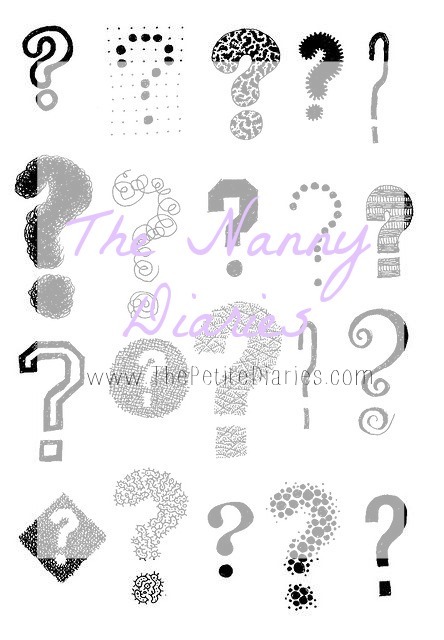 Welcome back to the second post in the Nanny Diaries. I wanted to dedicate this post to a run down of all the different types of help you could possibly find! Whether, you are a soon to be mom or new mom I hope this helps you figure out exactly what you need! Babysitters care for children of any age who are in need of supervision for a few short hours. Most sitters will work either by specific occasion such as date night or a wedding. Their main tasks are watching the kids, playing with them and putting them to bed. Many babysitters are trained in basic skills like CPR and first aid. They usually work for hourly rates, but expect to be paid extra if they agree to handle additional services such as cooking, or housekeeping, but most babysitters don't do that. I have an upcoming post coming up all about how much you should charge based on Chicago going rates and what exactly you need. What is a Mommy's Helper? A Mommy's Helper does just that, helps Mom. Most Mommy's helpers find jobs with families that have more than one child. While Mom is feeding the baby, a Mommy's helper can keep the older children occupied. In addition to playing with the children, a Mommy's helper may be asked to perform light housework or run errands. During the holidays, Mommy's helpers can be hired to help. Mom wrap gifts, decorate the house, and even assist with baking. The Mommy's helper is essentially there to be super part time. Less than a 10 hours a week and is there to really help out! We all know motherhood is exhausting and a tough job so these girls often are there to give you a break! What Is a Professional Nanny? I am a Professional Nanny. I am hired as someone who is fully invested in a child's development and well-being. I care for children full-time while both parents work. It's my responsibility to create daily schedules and engage in activities to ensure healthy mental, physical and emotional growth in the children I care for. Most nannies will be tasked with preparing meals, helping with household work (dishes, laundry, etc. ), driving the children to and from activities and assisting with homework. Nannies have more responsibilities and duties than a babysitter does (and, because of that, a bigger salary). In addition to a Child Development Degree, we often have basic safety classes (Infant and Child CPR, we may have had advanced child care training (such as infant certification, toddler certification) or many years of nanny experience. Often, nannies earn a weekly salary based on hourly expectations, have taxes deducted from their paychecks and work year-round for a family. We become part of the family, bonding with the children in a different way than parents do. Sure, NOTHING can replace Mom or Dad, but children will bond with me and their nanny, who sings with them at music class, teaches them to use the potty and drives them to and from soccer practice. Some families consider their nannies co-parents or partners in parenting, getting info from their nannies on their child's development and interests or asking their nannies to help their kids cope with losses and stress. As always I'm open to any new questions or content so if you ever want to hear more leave a comment below or send me an email! Now I know that mommy's helper different with nanny. I thought they were the same. When I was a senior in college I joined this network called "Mother's Helpers" (I think that was what it was called) but it was actually just babysitting jobs. I had no idea Mommy's Helpers was a thing and that it was different from a babysitter! I eventually learned that babysitting was not the job for me! haha!